Victor Cruz's first signature sneaker with Nike is suppose to be hitting retailers next month, November 20th. The sneaker has been the talk of the sneaker community for weeks, and we're starting to see them almost everywhere! As Nike and Victor continue to build the hype for the sneaker's release, Cruz shared a photo on Instagram consisting of a pile of his upcoming sneaker with names of the people he will be giving them to. 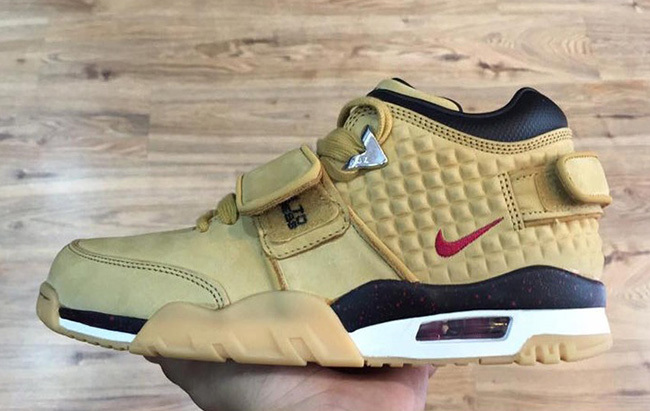 As we begin the countdown to the release, we can now expect to see the Nike Air Cruz "Wheat" to be rocked by some of the biggest names in entertainment! Take a look a the list above, and let us know who you think will rock them the best!